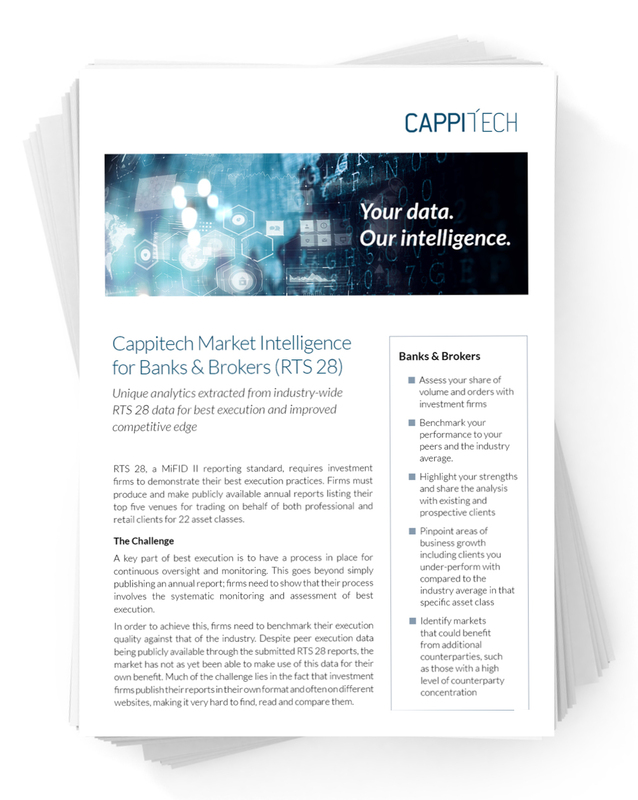 As an bank or broker, you can use Cappitech’s RTS 28 Market Intelligence to gain an in-depth analysis of the industry’s most widely used venues and brokers for each asset class and assess their performance against their peers and the industry. Determine dominant markets and share with existing and prospective clients. Get your copy of the brochure now.